An east coast delight made with local shellfish. In a large pot, heat butter and add the garlic and cook for 30 seconds. Next, add the chopped bacon and cook for another 4 minutes. Add the tomatoes and cook down for 2 minutes. Add the mussels and bay leaves and give a good stir (or shake with lid tightly on). 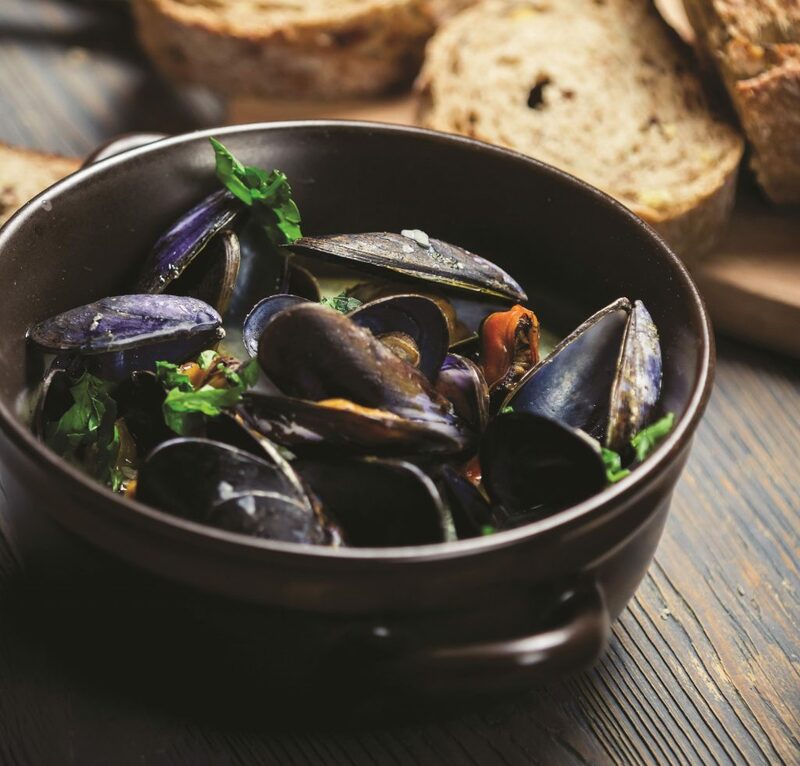 Pour in the cider, cover and cook until all the mussels open. Season to taste. If using clams, they take extra time, so be patient. Remember folks, if they stay shut, do not eat it! Enjoy! Check out more from Renée at feistychef.ca.